This new oil will give smooth operation and quiet running for the modern, high performance, economical, petrol or diesel motors. As you can see from the range of Specifications above, this is not always so easy to achieve. Personally up here in the tropics I would rather use a minimum of SAE 10w @ 40 degrees C. If that happened it would read as 10w40 oil. This is highly developed Full Synthetic Motor Oil. It was designed using the latest in additive and Synthetic Base technology not previously available, in order to achieve such high reductions in wear and fuel consumption in the latest multi cam, multi valve 4 stroke petrol and diesel engines. When this oil was developed I decided to use it as a dedicated diesel truck oil for extended drain intervals, ultimate soot control and reduced fuel consumption in virtually all diesel’s except 2 stroke GM’s. As a result of testing we found that it excelled in hard working 4×4’s, especially pulling large caravans and goosenecks. I was going to call it the going around Australia oil, because people keep ringing up from Broome and Perth asking where they can get it , because they have covered a lot more k’s than expected. Thank heavens for Greyhound. Once again the development of this product has shown how much things can change. I started off with dedicated truck oil and ended up with a highly developed Multi Function Full Synthetic Motor Oil that can be used in all 4 Stroke engines regardless of fuel type. This oil will give exceptional extended service, increased power and reduced fuel consumption. Excellent in big road bikes, it quietens their motors, makes them pull away from the start better, cruise quieter, and overtake with ease. The difference it makes to Trucks etc is unbelievable. Meets Toyota WS Spec. 5w30 is full synthetic motor oil, which uses the latest additive technology to provide significantly better performance in late model Petrol and Diesel engines. It is suitable for naturally aspirated supercharged and turbocharged motors. It ensures better rust and corrosion protection, less oil oxidation and superior deposit control and wear protection. Meets Toyota WS specifications, and is suitable for vehicles with a Particulate Exhaust Filter. 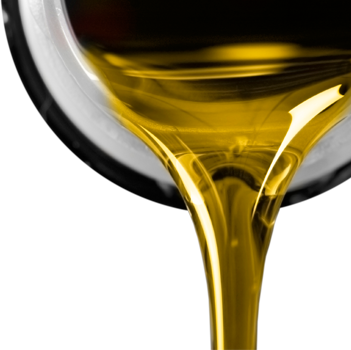 This new oil compared to the old GL1 mineral oil will give smoother operation, smoother gear changes, quieter running in gearboxes and transmissions compared to oil company standard oils. It may be used in place of Cat TO4/50 and Allison C4 Spec with Big reductions in temperature and fuel consumption. The customers, who had experienced the change in their Road Rangers etc, when going from Rebranded 50-weight engine oil to my 50/90 true gear oil, thought that was as good as it could possibly get. Now I come along with Synthetic 50 and the whole game goes up another notch. It is beautiful to see the expression on their faces, or to hear the excitement in their voices when they ring or are telling some one (mate or stranger), how much”better” their Gear changes etc are. When you see my 50/90with a slash (/) between the numbers and not a “w” it means that that oil meets the demands on the oil of both a SAE 50 motor oil and a SAE 90 Gear oil. If it had 50w90 it would mean that oil would meet a 50-weight gear oil spec at 40 degrees C, and at the same time it would meet the SAE 90-gear oil spec at 100 Degrees C. In other words it would be a true Multi Grade Oil. If you see the API before oil, it means American Petroleum Institute, (sometimes Australian) and the SAE stands for Society of Automotive Engineers, of whichever country to which it applies. 75w90 was developed to give smooth gear-shifts cold while maintaining good anti wear properties hot, in all front and 4 wheel drives etc. and especially in older Ford XR6/8 & Commodore manual transmissions as well as in light trucks, large trucks and tractors with constant-mesh gear boxes. Definitely more suitable in later 4WDrives. Especially Constant 4WD’s. This oil is another rung up the ladder in looking after your vehicle, and getting longer life out of the transmission. This is a highly developed full synthetic, extreme duty, gear/diff lubricant, suitable where ever a 75w or 140w is required in bikes, cars, trucks, tractors, dozers, graders, scrapers, etc. with or without Lim Slip Diffs, and Oil Filled wheel hubs on Semi-Trailers. Excellent in all models F100 to F350’s Front and Rear, and Silly Nissans with different oil front and rear. Synthetic Automatic Transmission Fluid Supersedes DXIII. Suits The Following: – Mercon-V, Nissanmatic, Toyota T-IV, Volvo7340, ChryslerATP+3, HondaZ1, Alison C.4, Mazda NV. Our Full Synthetic Auto Trans Fluid will replace DXIII and 95LE, is ideal in 4, 5 and 6 Speed Auto’s achieving reductions in temperature and fuel consumption while extending service periods.